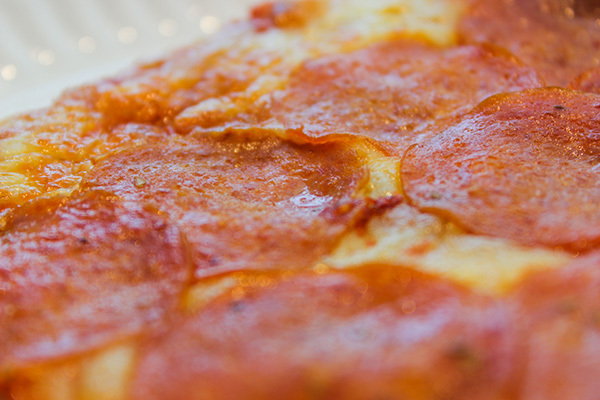 Who doesn’t enjoy a nice, big slice of pizza? When I was growing up, my parents would take me out for pizza at least once or twice a week. I don’t see why that has to change just because I’m more into health and fitness. It’s one of those foods that I’ll enjoy for the rest of my life but of course, in moderation. Here’s a trick that even the laziest dieter can do to instantly save 50 calories from a slice of pizza without sacrificing flavor or texture. 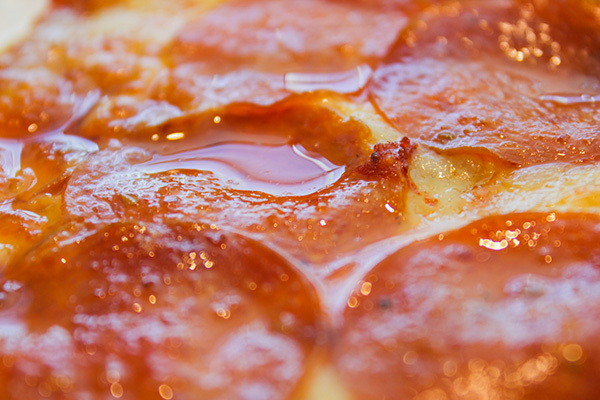 Take a few napkins and place them under your pizza. You don’t have to do anything fancy. Just leave them there to absorb any oil that’s collected on the bottom of the pizza. Next, get a couple more napkins and place them on top of your slice of pizza. 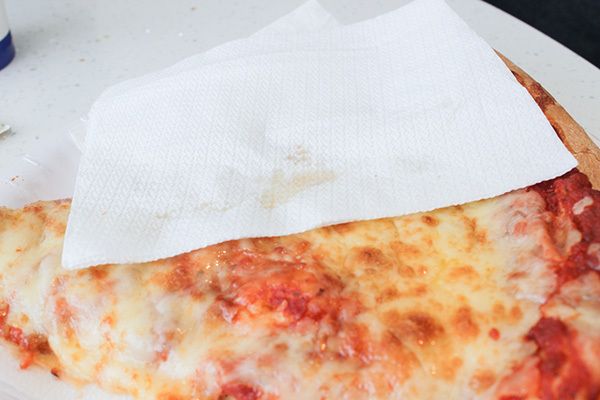 Without even doing anything, you’ll find that the napkin is already absorbing the excess oil. 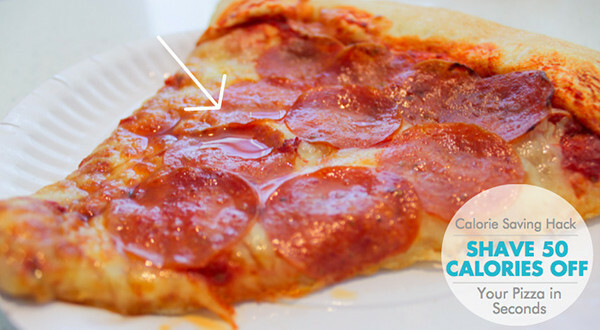 Take a knife or fork and press the napkins onto the pizza to absorb any oil that has collected underneath the toppings (if any). 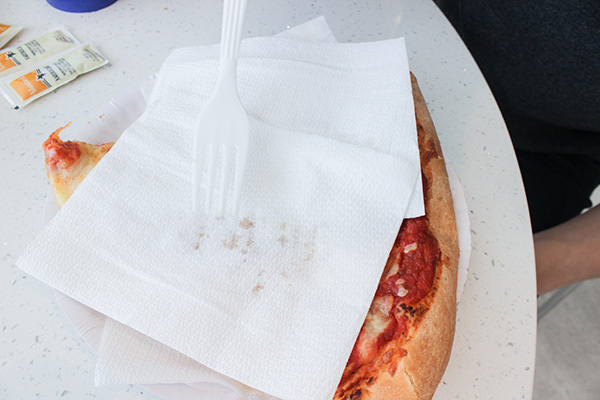 Tip: If you order a pepperoni pizza (my personal favorite) press the napkins directly on the pepperonis. 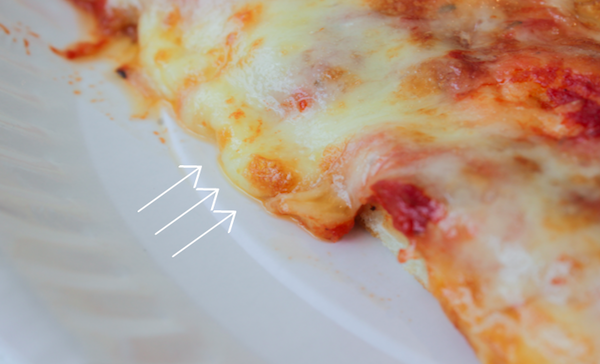 As you can see from the start of the video, the weight of the pizza was 224 grams before we used this trick. After dabbing out the excess oil from the pizza, it weighed 218 grams. That’s 6 grams of straight up oil. It may not seem like such a big deal but 6 grams of oil = 54 calories from fat. 1 gram of fat is 9 calories. 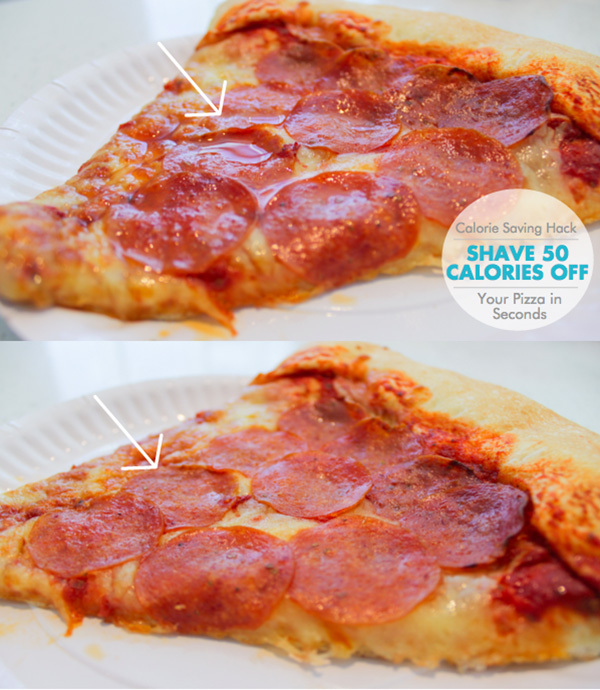 A few seconds of your time to shave off 50+ calories without making your pizza any less of a pizza; without using low-fat cheese, or a tortilla crust. 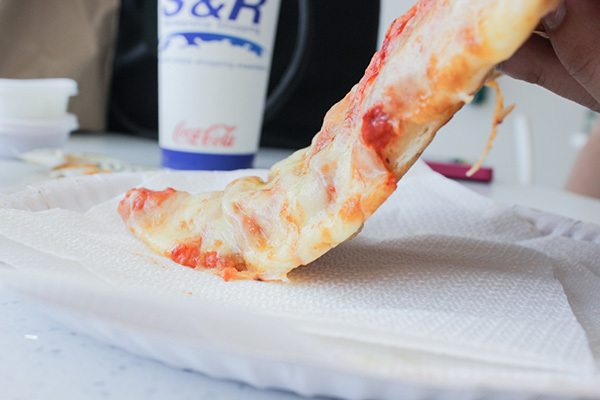 PS: S&R PLEASE make a pepperoni and sausage pizza. Put the sausages from the combo pizza on the pepperoni pizza. Please… Pls.